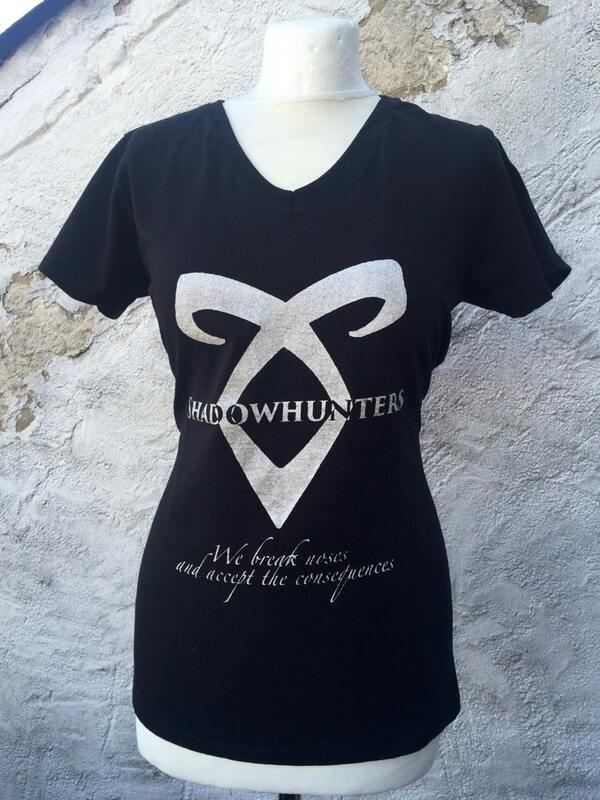 This T-Shirt Comes with a silver (sparkly) Print of the Angel Rune with the added Tagline "We break noses and accept the consequences". Please be aware that the dark grey T-Shirts we are using tend to be on the small side. If you are not sure about the size, we would advise you to order it one size bigger.